It’s summertime! And the Supernatural Studies Club has shacked up at the school’s clubhouse for some fun in the sun. Unfortunately, Yamada’s stuck taking classes for a make-up exam and can’t enjoy his summer until he passes. But there’s more to the school clubhouse than leisure and relaxation—it happens to contain one more clubroom that may provide answers to the mysteries of the witches of Suzaku High. However, before Yamada and gang can get to the clubroom, they’ll discover a new witch with a power that will leave everyone speechless! 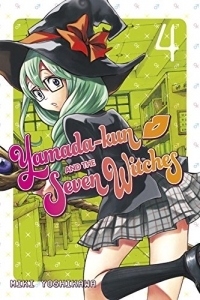 TV-Series, 12 (2015)Yamada-kun and the Seven WitchesLiden Films Inc.